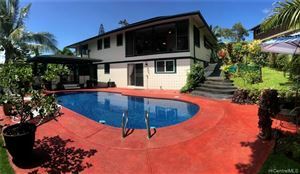 Kailua is located on the Windward side of Oahu and encompasses several smaller communities. Here you will not find any two homes that are the same. Each one has its own unique appeal and charm. There are many brand new homes, but also many "original" homes that may have been built as early as the 1950s. Cool breezes come from both the Koolau mountain range as well as from the ocean to make for very comfortable temperatures. While Kailua is not as "wet" as many other areas, it is also not "dry". Most mornings you will awaken to dew on the grass from light rainfall which helps to create the vibrant greenery found here. There are many, many local shops and restaurants to enjoy, as well as the convenience of a Target store, Long's Drugs, Safeway(s), Walgreens, etc. Our local favorite eateries are vast, and include Kalapawai Cafe & Deli, Buzz's original steakhouse, Moke's Bread & Breakfast, and of course Times Coffee Shop for their ono fried rice! As in most areas on Oahu, if you're born and raised there it would be quite surprising to go anywhere and not see someone you know. This is part of the beauty of being raised in Hawaii, although newcomers are also embraced with warm aloha and are soon to make many friends. 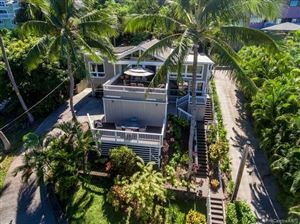 There is only one highrise in all of Kailua. The vast majority of homes are single-family as well as low-rise condominiums and townhomes, with our newest development being Ka Malanai. The Windward side of the island is also home to three of Oahu's Top 5 Beaches, including Lanikai, Kailua and Waimanalo. It's the perfect location to enjoy the outdoors, including kayaking, surfing, body boarding, biking, hiking, golf, tennis and the like. It is not unusual for friends to just "stop by" after work to come in the backyard, relax on the lanai and just enjoy each other's company. What an awesome way and place to live! I'm literally sitting here writing this content with a smile on my face....and now I have just decided to take a stroll on the beach. It would be fun if you could join me!